Suffolk County Police have arrested a Farmingville man for robbing two gas stations in Nesconset and Lake Ronkonkoma last month. Michael Riggs is being charged with two counts of Robbery 3rd Degree after being captured on surveillance video robbing a local gas station. Farmingville, NY - March 4th, 2016 - Suffolk County Police have arrested a Farmingville man for robbing two gas stations in Nesconset and Lake Ronkonkoma last month. A man entered Exxon Gas, located at 241 Terry Road, Nesconset, on February 23 at approximately 7 p.m. and demanded cash from the register. The attendant complied and the man fled the scene with cash. Three days later, the same man entered Tower Gas, located at 425 Smithtown Road, Lake Ronkonkoma, at approximately 3:40 p.m. and demanded cash from the register. The attendant complied and the suspect fled the scene with cash. Following an investigation that included utilizing surveillance video, Fourth Squad detectives identified the suspect as Michael Riggs, 30, of Morris Ave., Farmingville. 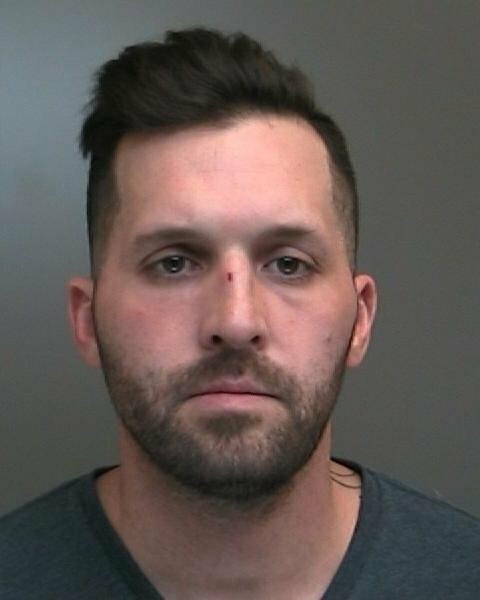 Riggs was arrested at his residence on March 3 at approximately 6:20 p.m.
Fourth Squad detectives charged Riggs with two counts of Robbery 3rd Degree and he is scheduled to be arraigned at First District Court in Central Islip on March 4. The investigation is continuing. Anyone with information on these incidents is asked to call the Fourth Squad at 631-854-8452 or call anonymously to Crime Stoppers at 1-800-220-TIPS. All calls will remain confidential. Subject: LongIsland.com - Your Name sent you Article details of "Farmingville Man Arrested for Robbing Two Suffolk Gas Stations"